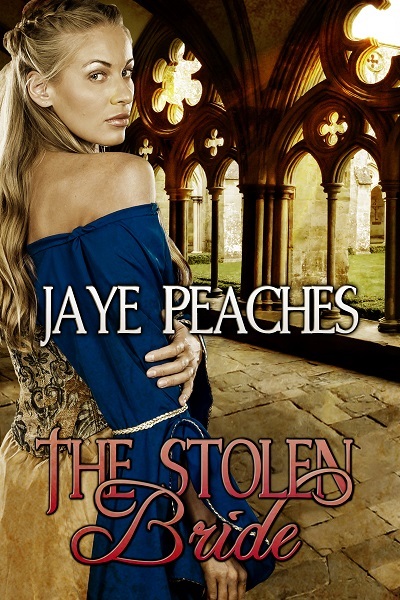 I'm a huge fan of Jaye Peaches work and she's here on my blog today with her new release The Stolen Bride that sounds fantastic! My TBR list is getting very long! Thank you for inviting me to your blog. I’m sharing an excerpt from my latest release – The Stolen Bride – a medieval romance that tells of Nadia’s arranged marriage to a Norman baron. The virgin bride isn’t quite as pure as he believes her to be, but that doesn’t dissuade him from his plan to give her to another man on their wedding night. When not writing, I’m busy spending time with her family, enjoying music, sometimes composing or drawing and if the weather allows, gardening.